Its heart is a size of the car. It is heavier than the 25 adult elephants combined. It is bigger than the biggest dinosaur. Its tail is the width of a small aircraft’s wingspan. It consumes an average of four tons of tiny shrimp-like animals in one day, equivalent of 64,000 hamburgers. 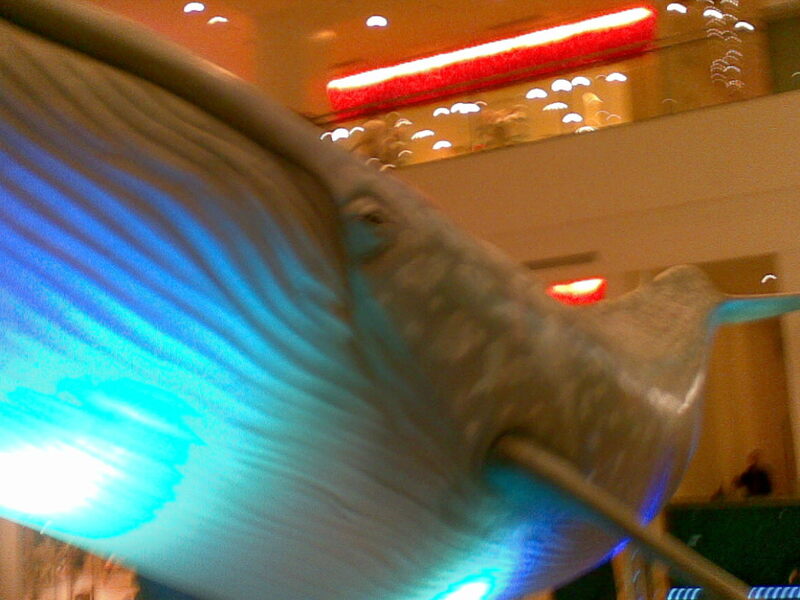 It releases a spray from its blowhole as trall as a two-storey building. It can reach a speed of km/h. It has existed for 18 million years already. It can live for at least 80 years… The great blue whale is the LARGEST creature that has ever lived on Earth... It is now ENDANGERED. 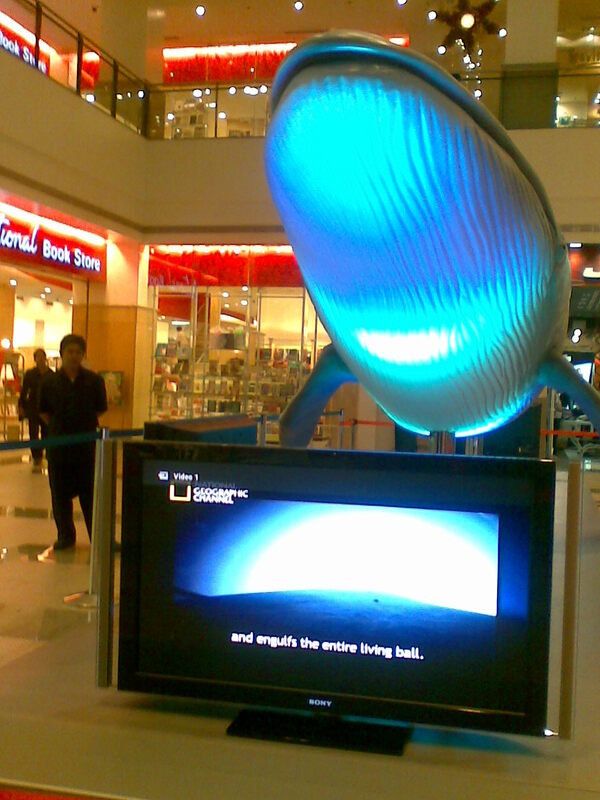 Currently displayed in the lobby of Ground Floor Glorietta 5, this place is the first ever home of this “life-sized” image of a baby blue whale only 2 months old but already bigger and longer than a bus! 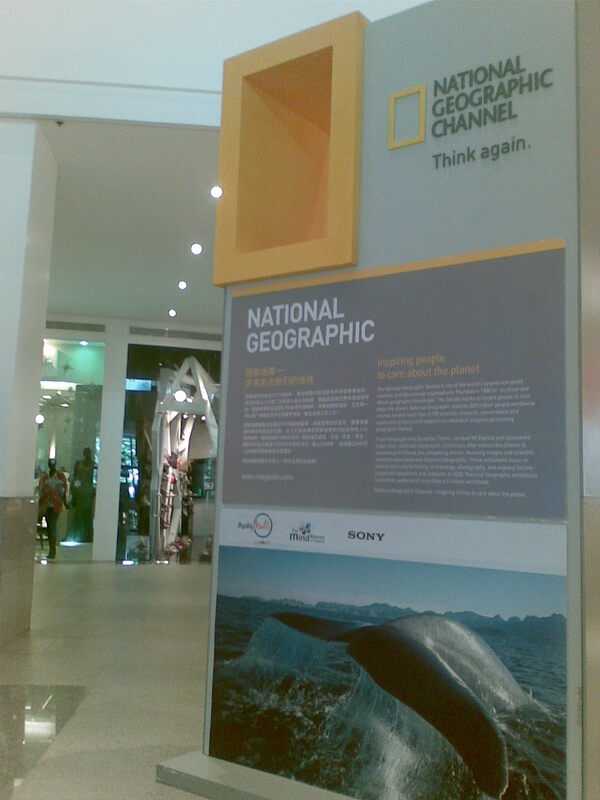 It will stay for a week or so and then will move to another mall so as to give way to more people to watch this another intellectually-designed by God as a worthy example of His wit beyond the understanding of mankind. This is quoted from the pamphlet given during the show. Thru the efforts of the National Geographic Channel TV which is currently showing some unprecedented coverage and in-depth scientific researches of this creature, this is aimed to re-ignite one of the innate characteristics of humans: the love and care for his fellow creatures that has been blessed with the grace of life. Of course if there is life, there is death too. According to *Deone, one of the guides and giving some pamphlets, it is rare that this creature is found among the Philippine waters. Our nearby seas’ climate and environment might have some differences with those of American’s and Australian where these are usually found. This is most of the time when mentioned, another big oh less bigger if compared to the first – the whale sharks or our very own butandings. Though I came from the same province where this creature is the symbol of the town’s tourism and created a myriad of jobs for the people, it really is a pity but I haven’t been there. But, a big BUT, I would definitely watch this butanding in the waters personally which according to my American boss who has been there himself its mouth is as wide as when you spread your arms in 180 degrees. How much more is the blue whale? Now imagine these creatures if they’re full-pledged carnivores, like they eat flesh as in human flesh. But look at how God, how he perfectly plans all the things in His time. He had eradicated these gigantic fire-blowing dragons up the air and flesh-eating dinosaurs on the land. What he purposely left is a gigantic creature but he let it dwell in the waters so it can’t create havoc to the people. Instead of blowing fire , this is blowing water which a sight to behold. A symbol of hope and life for everyone. Now threatened to be endangered, there is still hope for the young generations and future one’s not to see this just on pictures and films but as a creature which has a life and deserves to dwell in this shared world like another creatures regardless of it’s size. 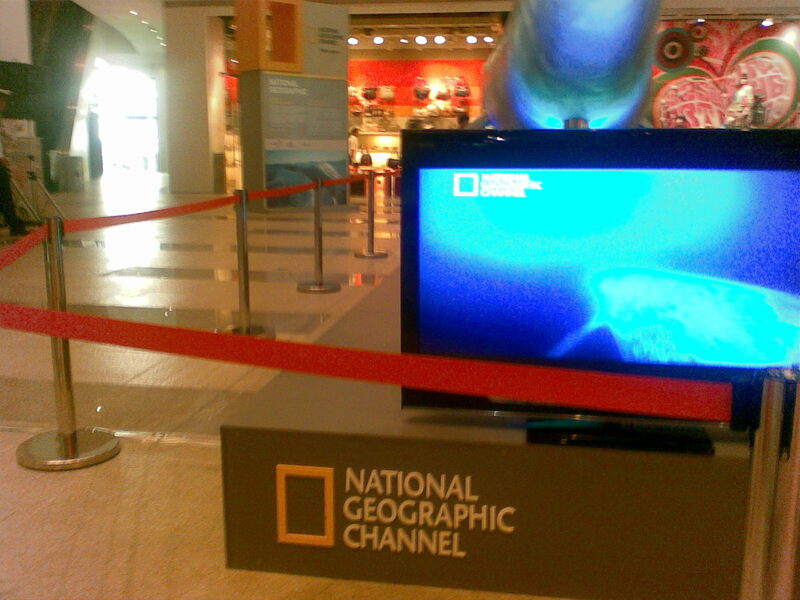 * These activity is brought also by the Ayala Malls And The Mind Museum at Taguig. FYI: This museum is believed to be the country's first world-class science museum. It is however under construction and is expected to be finished in 2011. This is privately-owned he clarified. He also added that this museum has just reached the 85% of it's target fund to have have this plan be put into life. That is why they are looking for donors if not helpers in any kind or service. On the pamphlet they gave us, anyone can help thru Time, Talent and Treasure.